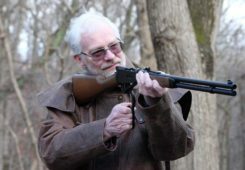 Greg’s Guide to Field Target Shooting – Part One. 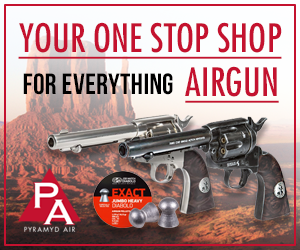 You recently received a new air rifle or have been plinking with your trusty old friend for years and want to try something different rather than shooting at paper or cans out in the backyard. But what else is there? Field Target shooting! What is Field Target you ask? Field Target is a hunting simulation/airgun competition where you shoot at metal targets in the shapes of common small game quarry. Below. 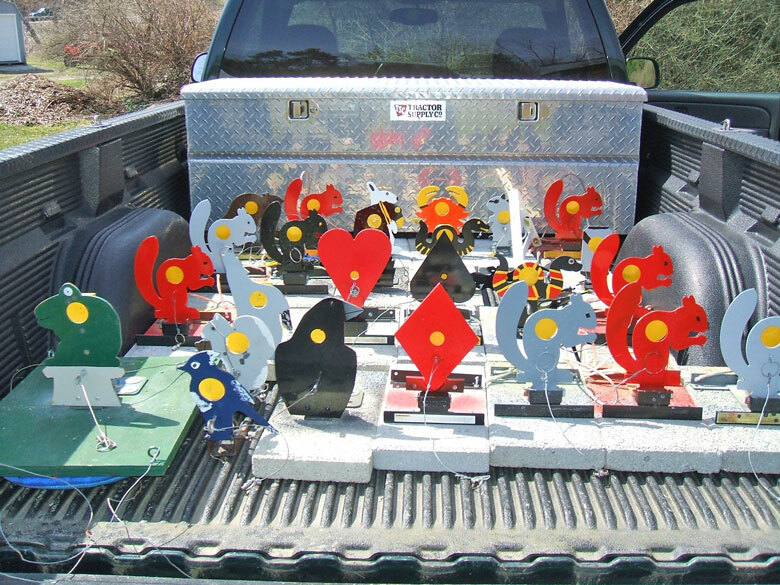 A truck load of Field Targets. 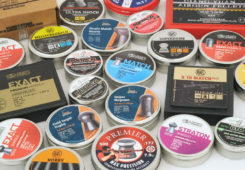 Field Target was started in the UK in the early 1980s when a group of British airgun shooters got together in order to create a sport that simulated hunting with an airgun. The first targets were stationary metal animal silhouettes that were marked with orange stickers to represent a kill zone (KZ). The targets were shot then a judge would go and check to see if the target was hit in the KZ or not. A hit (X) was awarded for shots in the KZ while shots outside were recorded as a miss (O). As the sport caught on and participation increased. 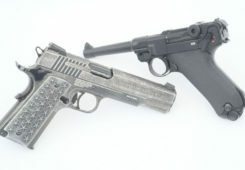 The standard stationary silhouettes were replaced with a “fall when hit” (reactive) type of target. The shooter scored a hit (X) if the target fell or a (O) if the target stayed standing after the shot. The sport made it’s way over to the US in the mid 80s. 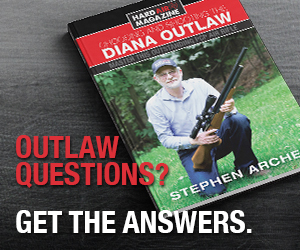 The early adopters of Field Target shooting were a club in California and a club in Florida. The first National competition in the US was held in West Palm Beach Florida in 1987. Immediately after this event a group of shooters formed the US National governing body AAFTA (American Airgun Field Target Association). 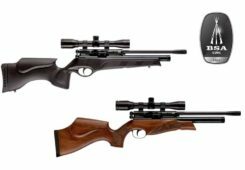 There are now 30+ clubs across the US shooting Field Target. Now on to a little bit about the current US version of Field Target. Current Field Targets are the fall when hit type and are reset by pulling a string that is attached to the face plate. 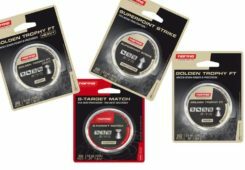 The target’s face plates are mostly typical airgun quarry silhouettes but the sky’s the limit as far as creativity goes. You can see anything from simple shapes to big game quarry and everything in between! Below, typical Field Targets showing the target mechanism. The majority of targets are not to any type of scale. Targets are randomly placed between 10 yards and 55 yards and consist of KZ’s (holes in the face plate) ranging from 3/8” to 2”+ diameter. 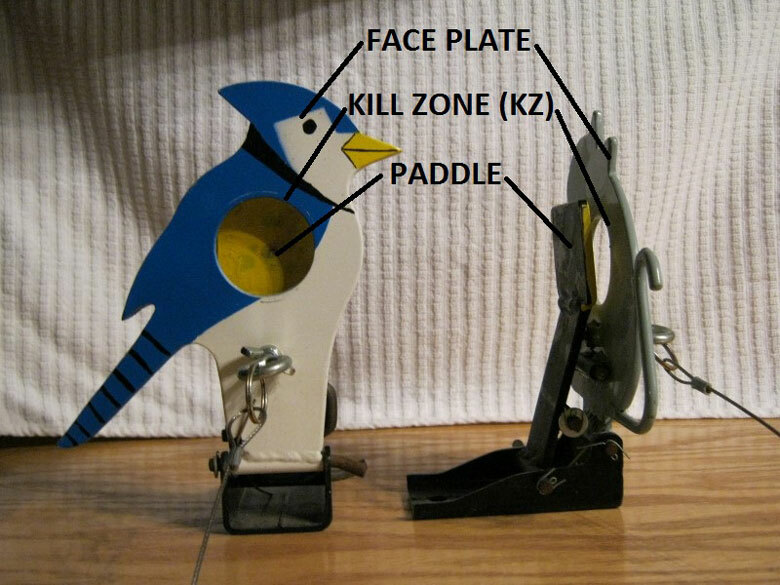 Targets are designed/adjusted so that a hit on the paddle with a minimum of 4 Ft/Lb will trip the target and knock it down while the target will stand and not fall with a 20 Ft/Lb hit on the face plate. There are limits as to how far targets may be placed based on their KZ size. In order to make the target fall, a shooter must estimate it’s range and make a clean hit on the paddle that sits behind the face plate. Hits on the edge of the KZ may or may not make the paddle fall. This type of shot is normally referred to as a split. 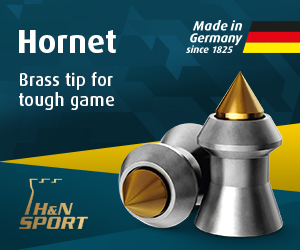 If the majority of the pellet is inside of the KZ on a split, there may be enough of the pellet and energy remaining to knock the target down. Totally opposite if the majority of the pellet hits mostly outside the KZ as illustrated below. 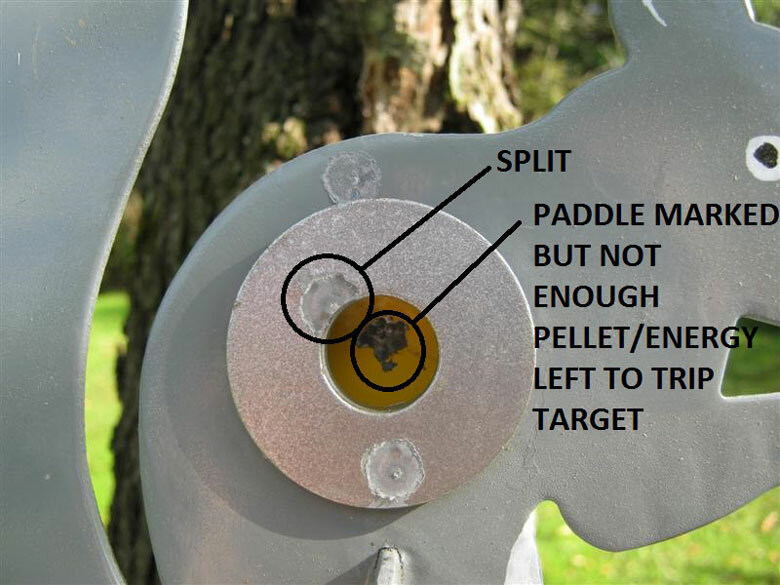 The paddle may get marked by a piece of the pellet but there won’t be enough energy or pellet mass left to knock the target down. Above. 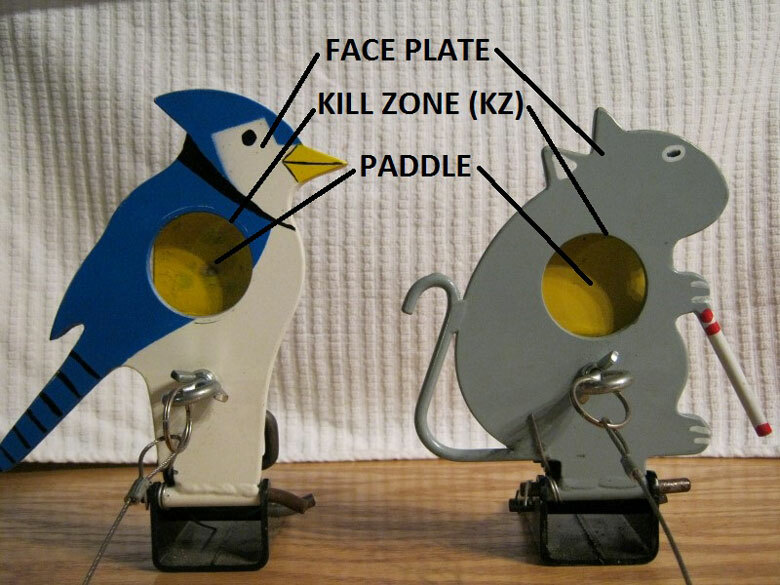 The target above shows a miss above and below the KZ, together with a split that marked up the paddle. In all cases, the target remained standing and no points were awarded. 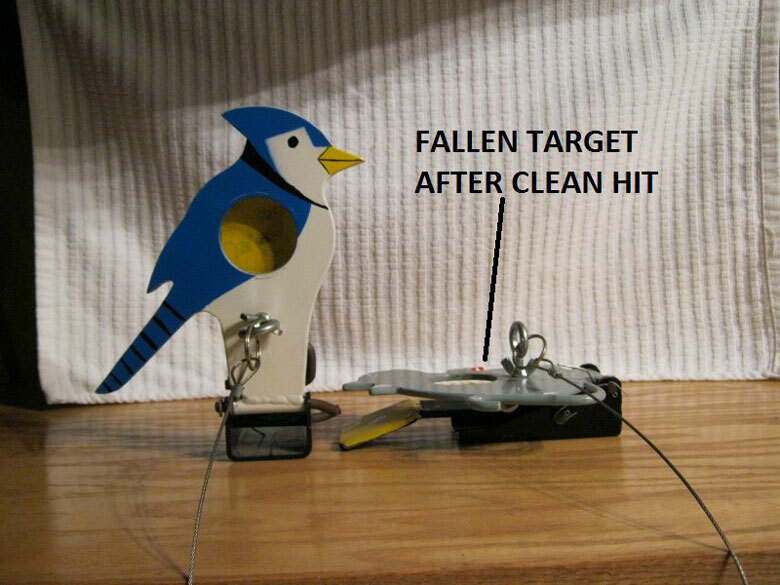 Below, a target laying down after a clean hit was made. The goal of the game is to address the lane, determine the range to the target and make a clean shot in order to knock the target down and gain a point. 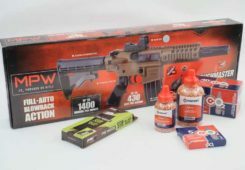 So this intrigues you and you want to give Field Target a shot but what do you need to do to get prepared? Well, the best way to get prepared is show up to a match and learn as you go! 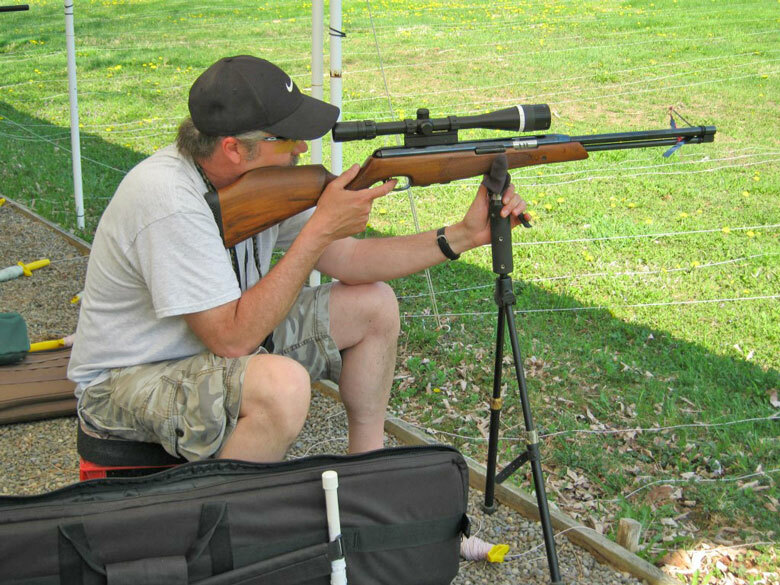 The usual monthly Field Target matches at the local club levels is usually a very relaxed atmosphere. Everyone will be willing to help you out and answer any questions you have. 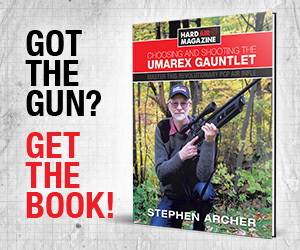 And by reading this Guide to Field Target Shooting, you’ll be well prepared, too. But I don’t want to embarrass myself the first time out! Well, we’ve all been there and have had our share of embarrassments. 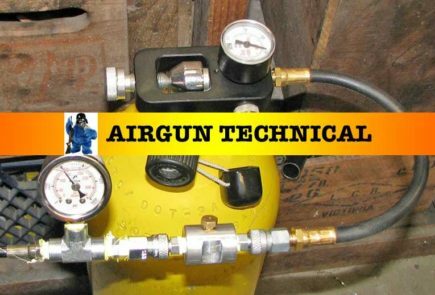 The best way to prepare is to learn/know your equipment. Will you clean the course your first time out……NO…….will you not hit anything…….NO. Most courses are set up with a variety that ranges from easy targets to difficult ones. There will be some you get without a problem, some you think you should have got and some that you will get eventually with practice! Below. Looking downrange at a typical Field Target shoot. 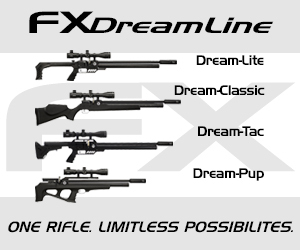 Any air rifle shooting less than 20 Ft/Lbs at the muzzle is welcome to join in the fun. This limit is set as to not damage the targets. 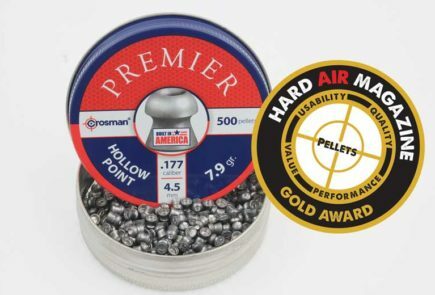 Most competitors use 0.177 caliber pellets, but there have been individuals that have used 0.20 cal. and 0.22 with success. 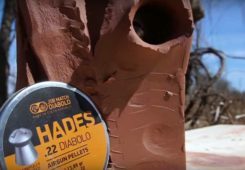 If your rifle can group pellets inside of a 1-inch to 1 1/2-inch circle at 55 yards, you’re good to go for Field Target shooting. 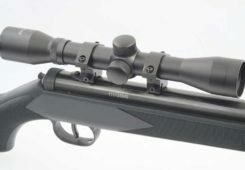 You will also want a scope that focuses down to close to 10 yards or below. In order to determine the distance to the target, you use your scope to range find the distance to the target. No handheld laser range finders are allowed in any of the AAFTA divisions! (We’ll get in to the different AAFTA divisions in the future). 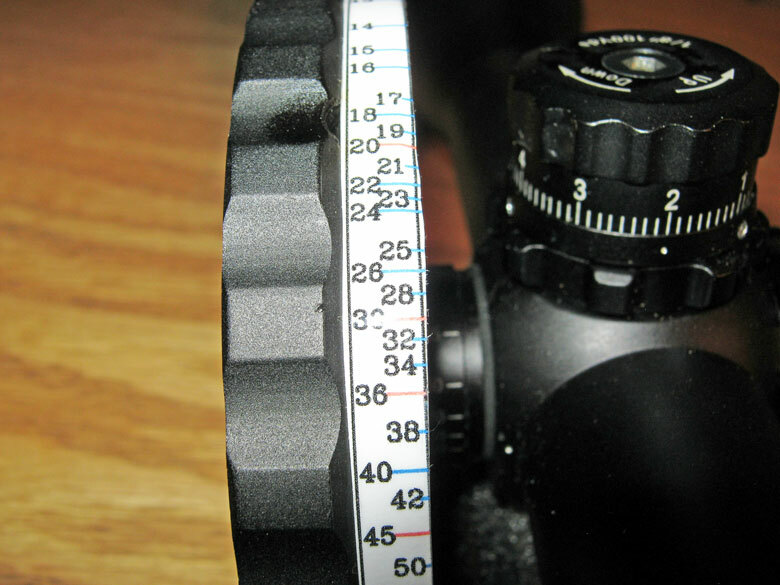 Participants mark their scopes with yardage marks so that when the parallax wheel (side wheel) or adjustable objective (AO) is adjusted and the image is in focus the shooter knows the distance to the target. Below is an example of a marked side wheel. 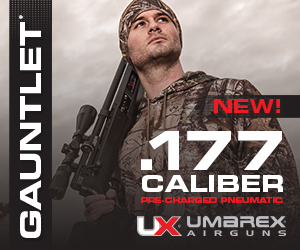 The numbers indicate the range in yards for the airgun/pellet/scope combination in use. They’re determined as Greg describes below. What’s involved to do this is to run out a long tape measure or use a laser range finder and mark your yardages from 10 yards out to 55 yards. 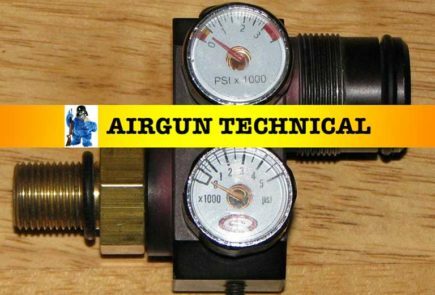 Most competitors mark their scopes in 1 yard increments from 10 yards to 30 yards then in 2 to 5 yard increments after that. Those shooting high magnifications in AAFTA’s Open or WFTF divisions may opt to mark every yard from 10 to 55. When setting up a scope for Field Target shooting, I usually set a target at a known distance, mark my side wheel or AO and also take 5 or 6 shots at the target. By doing this, I am able to mark my scope and also determine my holdover/holdunder point or determine what number on the elevation turret I need to click to at that distance. It takes time to get the scope set up the first time, but you only need to do it once – well once for each scope you’re using…. 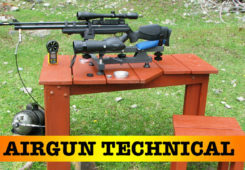 Next time we’ll continue our guide to Field Target shooting with the pre-first match setup. Then we’ll talk about how matches are run and touch on the different AAFTA classes. 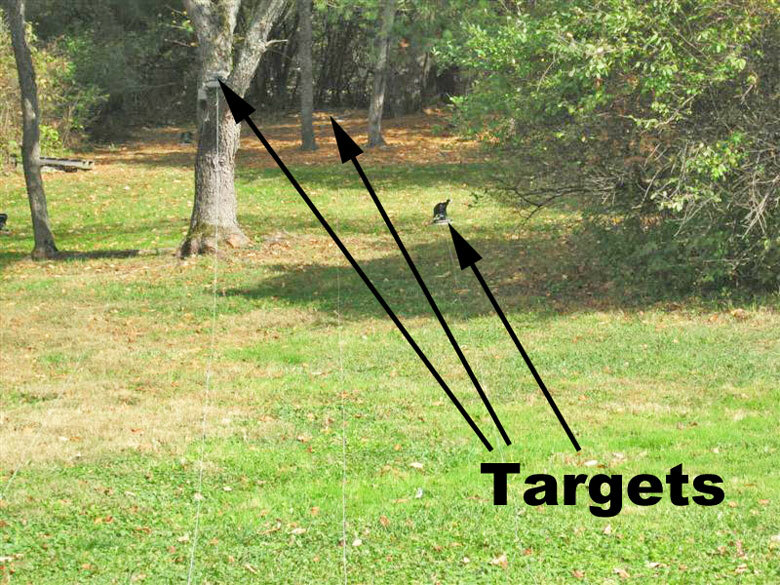 Read the next part of Greg’s Guide to Field Target shooting.